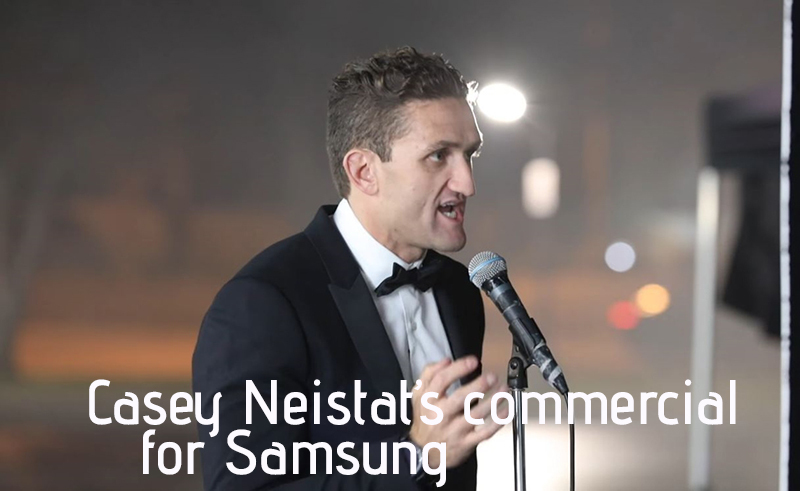 This was an add for Samsung that was aired during the Oscars to show off the YouTube community to a major US TV audience. I don’t think this hits the mark, personally, as its not what Casey is all about. I think people who over treat concepts like this should be rained back, as there was far too much money spent for a concept that could have been done in half the cost and crew. 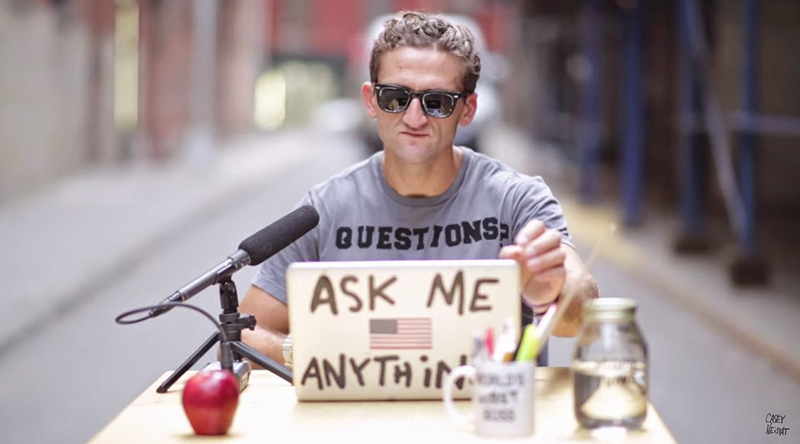 Casey is noted for many things but mainly his daily YouTube blog that is up to 6 million subscribers, although he no longer blogs daily he is still producing his own style of content on YouTube. This is an advert that I think would have worked better. ARRI ALEXA was honoured for the pioneering design and engineering of the Super 35 format Alexa digital camera system. Red Digital Cinema received an award for the the RED Epic thanks to its upgradeable full-frame sensors. 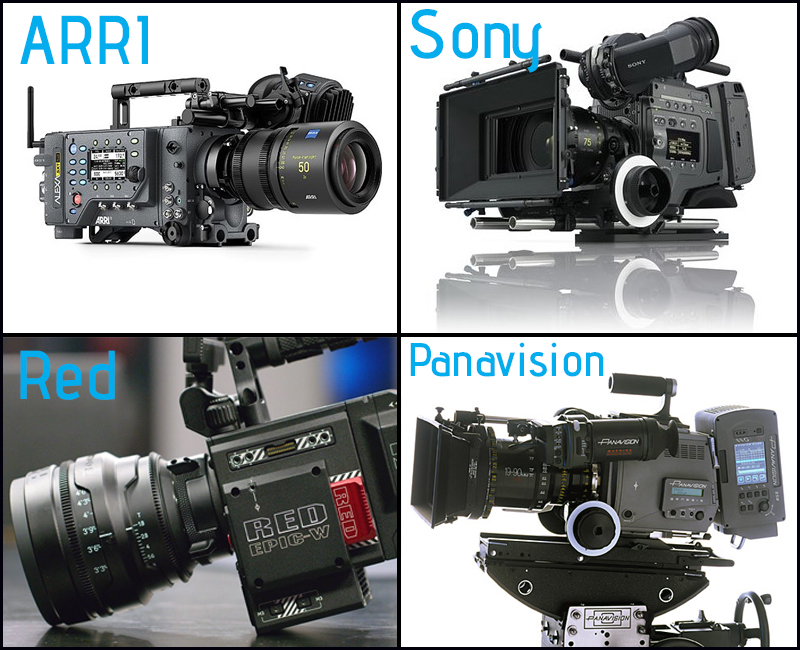 Sony for the development of the F65 CineAlta camera with its unique sensor design and ‘true’ Raw recording capability. Panavision in conjunction with Sony for the design of the Genesis digital motion picture camera, which allowed for it to become one of the most widely adopted digital cameras for cinematography. 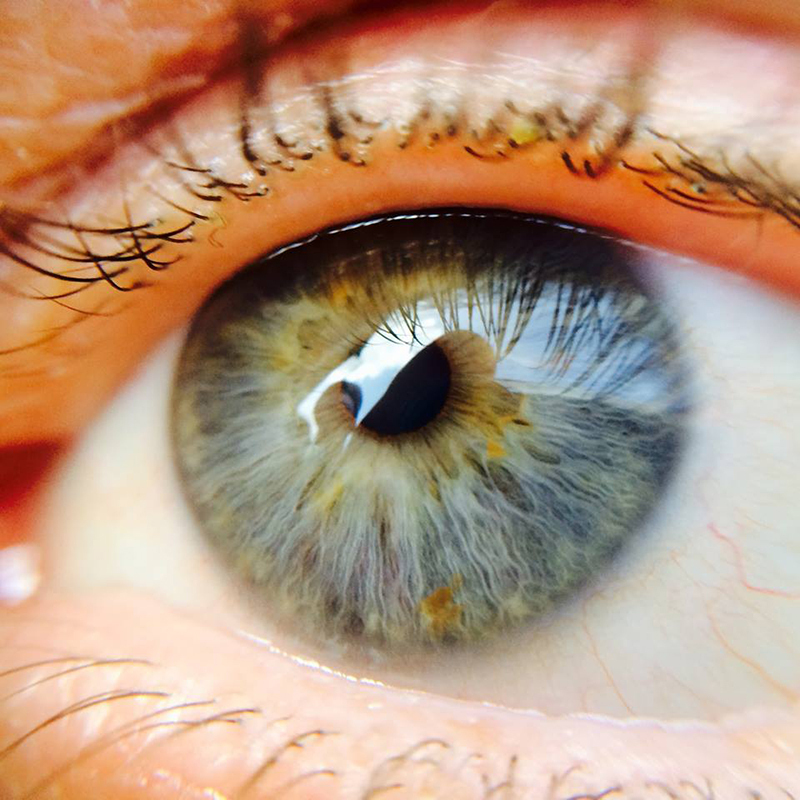 “Be My Eyes” You can help a blind person…NOW ! 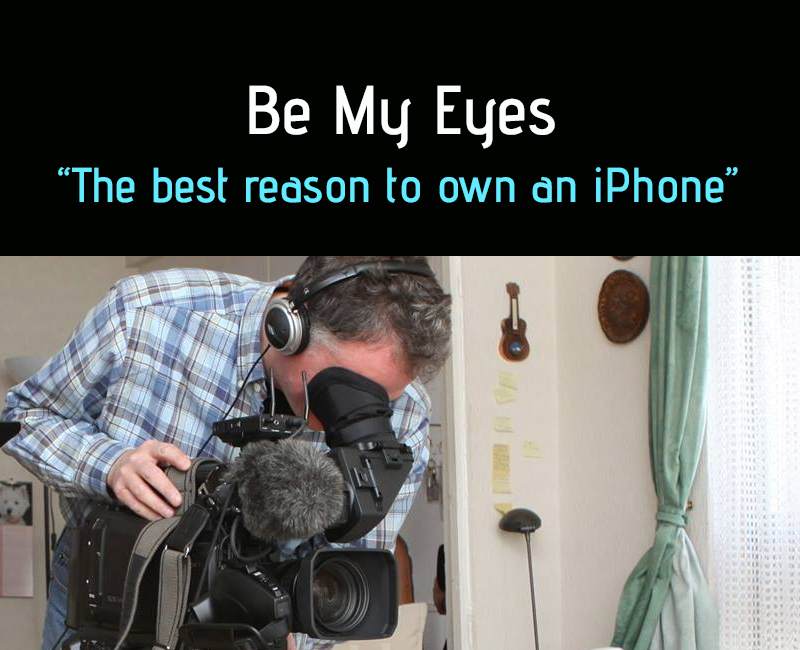 One of the best APPs on the iPhone store to date, “Be My Eyes”. As cameramen and women we all use our eyes daily to produce fantastic footage. 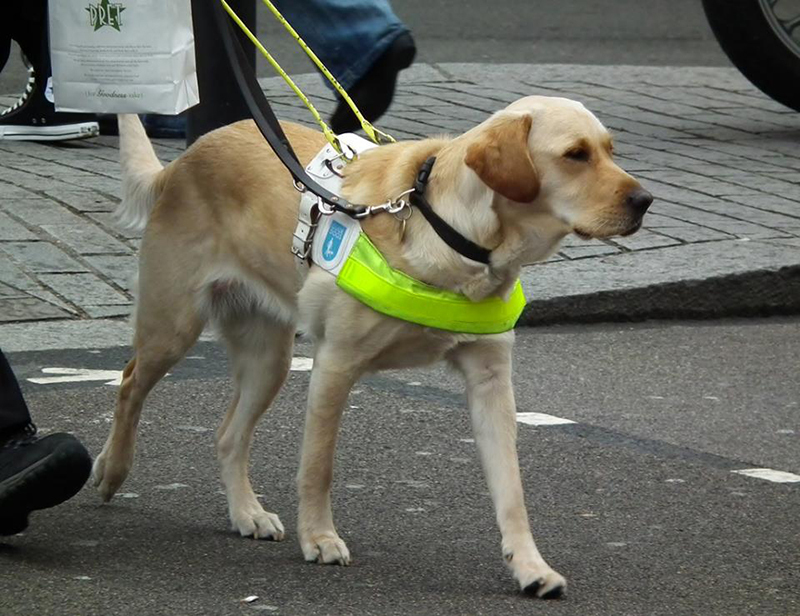 Not all blind people get guide dogs, in fact there are not enough qualified guide dogs to go around. To be fair this is not an app to replace guide dogs in fact its to help blind people see simple things like colours of clothes or is the milk out of date. 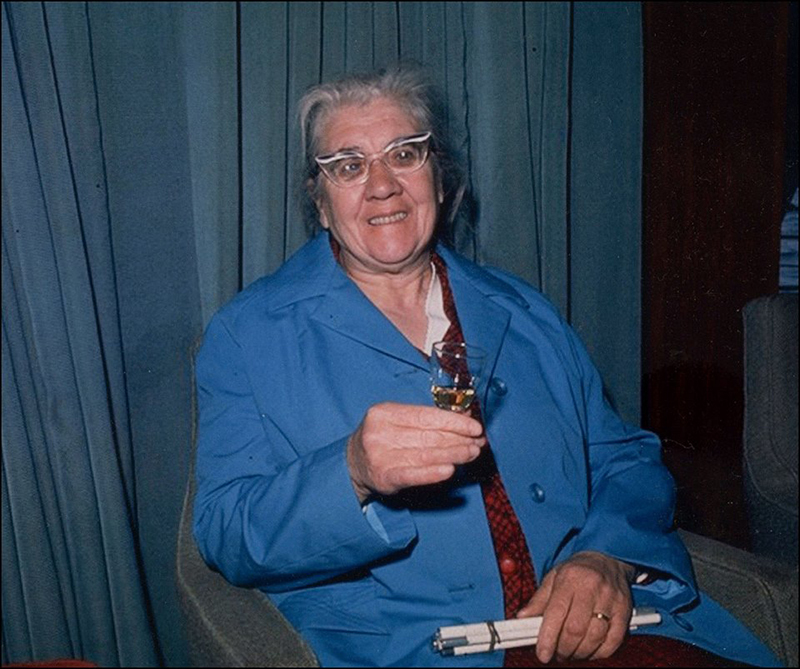 My late grandmother was blind as you can see by her white stick but it never held her back and not a more positive person you could wish to meet. 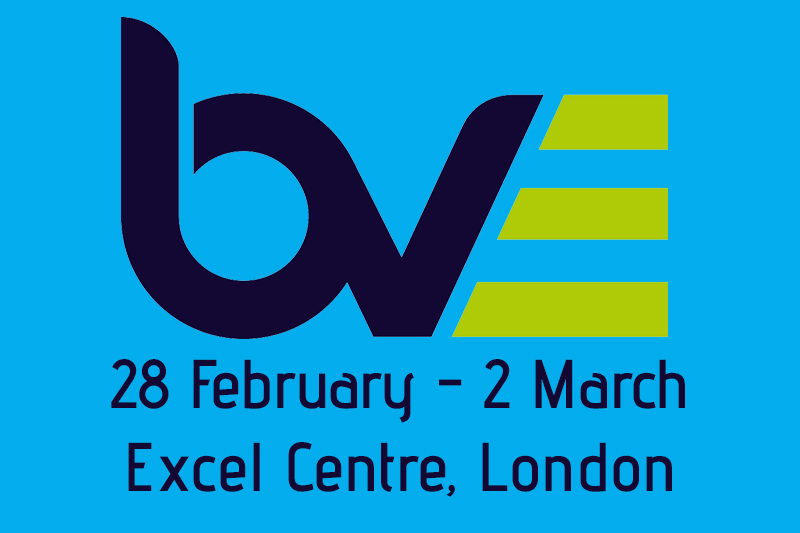 Here we go again, BVE 2017 will open at the Excel Centre in London on Tuesday the 28th of February. 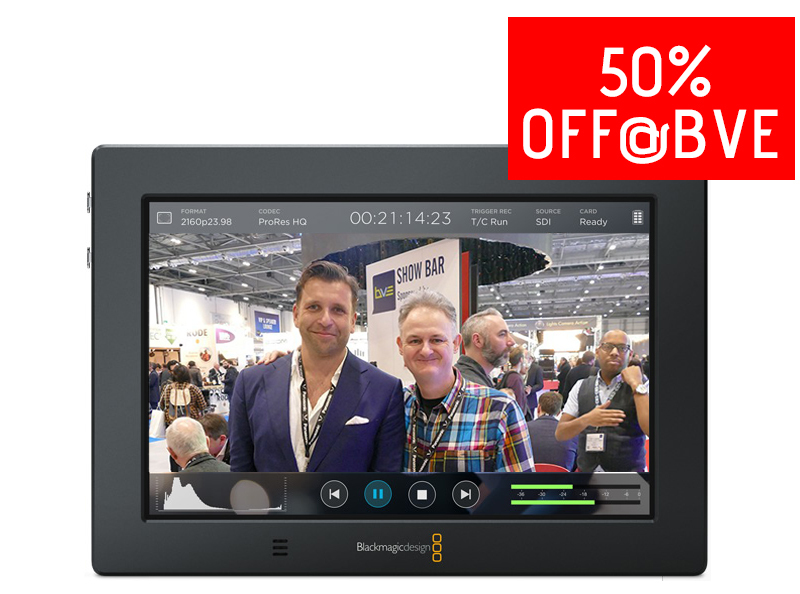 50% off the seven inch Black Magic Video Assist is a bargain, I bought one last year and it was a bargain. 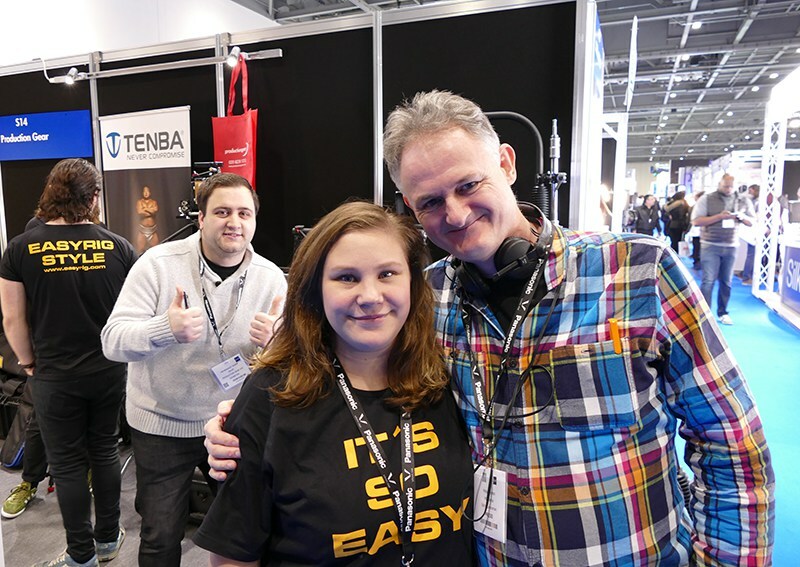 Sadly I won’t be there this year so poor Bradley at Production Gear can’t photobomb me like he did last year. 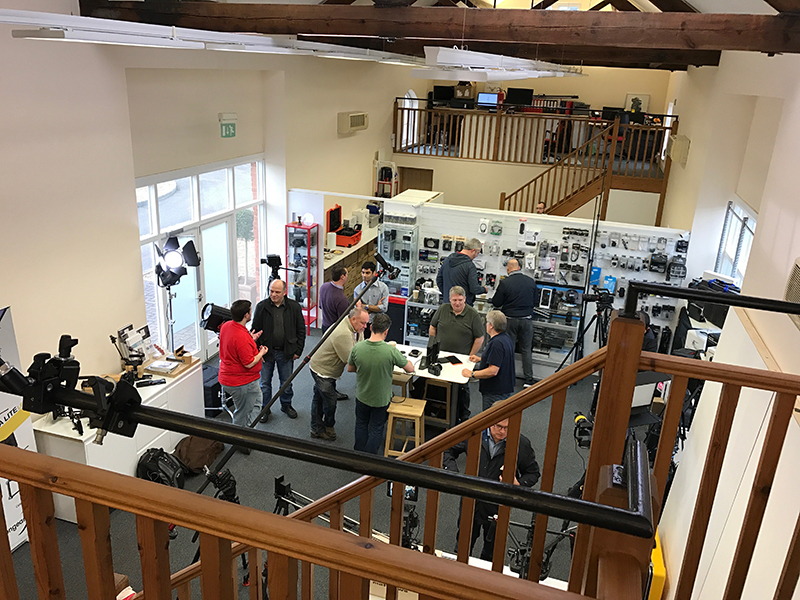 Today was the turn of H. Preston Media to hold an open day with almost 100 pre-orders for GH5s things are looking well for this family business in Malvern. 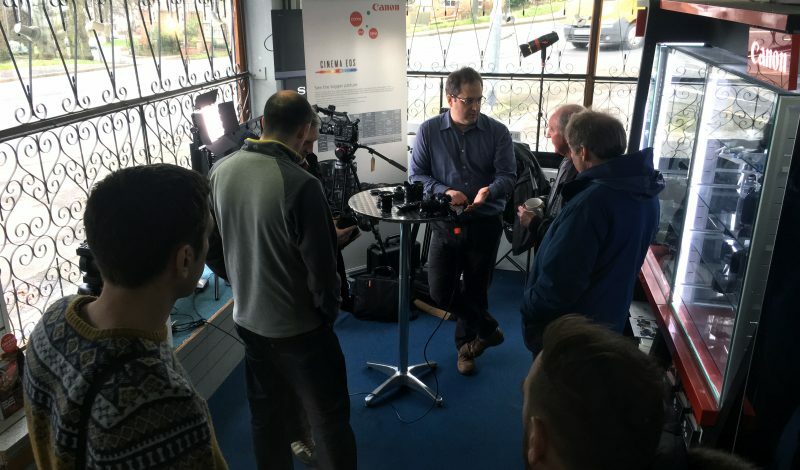 Here we see Dan Wheeler from Holdan showing off the Lumix GH5. Preston’s are one of the few video retailers giving customers excellent trade in prices for their good condition second hand camcorders. 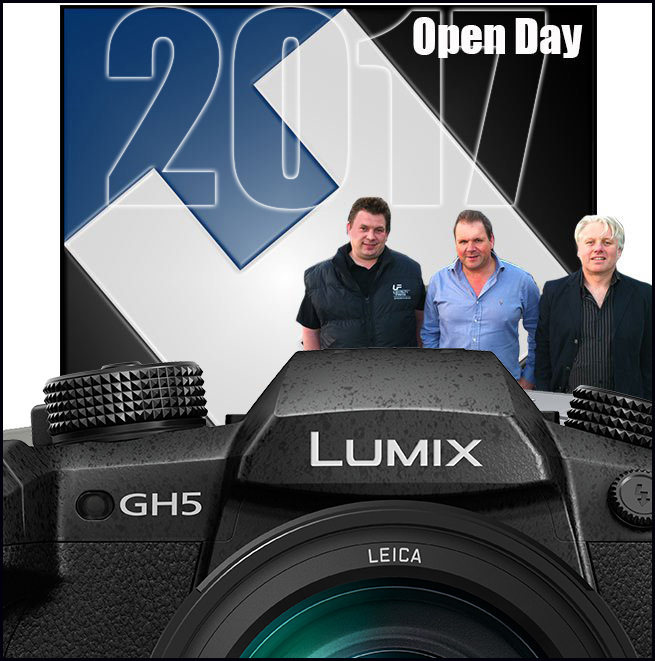 So thats the end of another open day at Malvern with a further 7 orders in the bag for GH5’s. 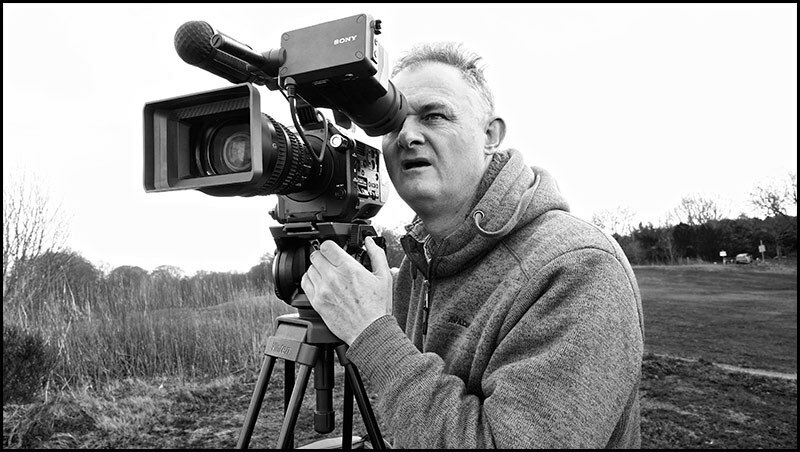 Lets start with lens cost, with the Sony FS7 I had a bank of Sony lenses that covered me from tight to wide but the servo zoom lens 28-135mm f4 was not wide enough. 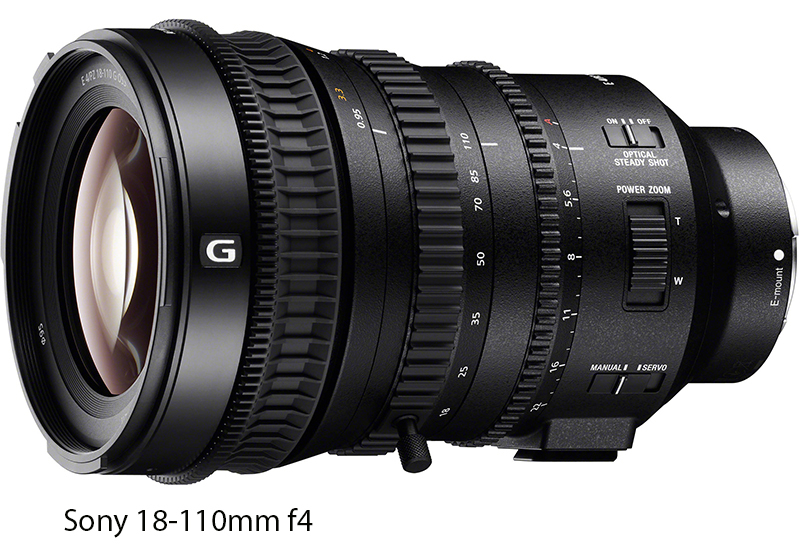 With much criticism Sony finally brought out the 18-110mm f4 lens at a cost of £3,299. 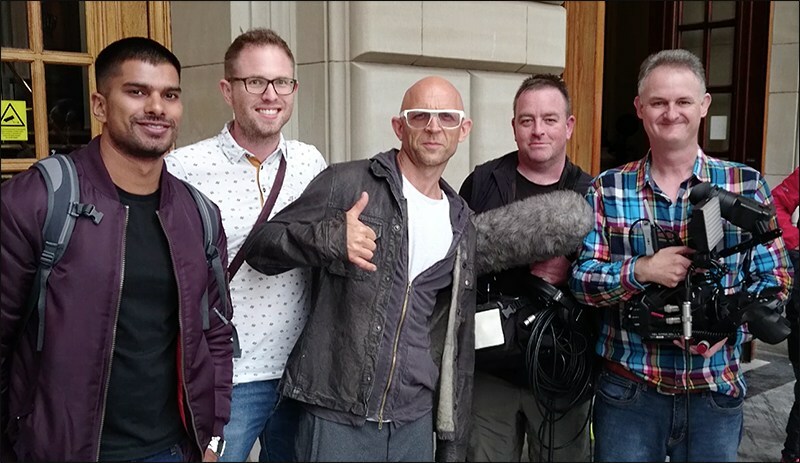 So what eventually put me off the FS7, not the quality, but its sheer weight, having used it on the Gadget show hand held, I was knackered after one days shoot. 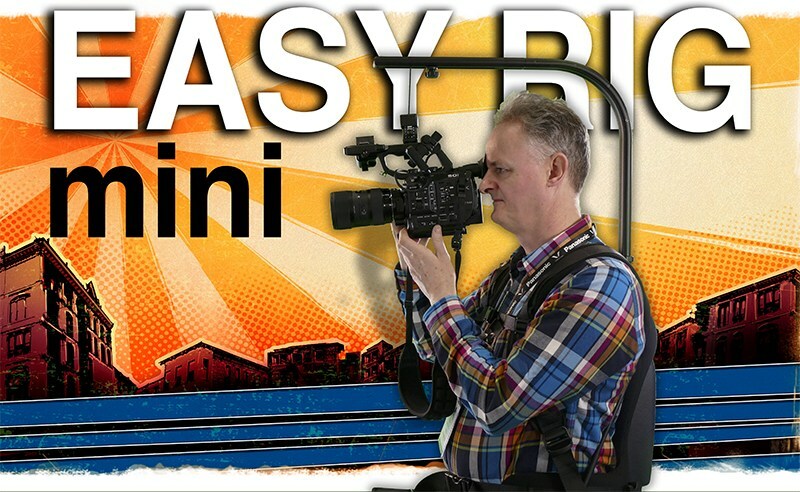 I looked into getting an Easy Rig but decided the extra expense and the amount of use it would get was not worth the money. If truth be told, I could not wait for this 18-110mm f4 Sony lens to appear nor was I able to finance it, plus the older you get the less weight you want to carry on your shoulder plus my recent stroke played a big part in my decision. My options were Sony E mount or Panasonic micro 4/3…as I was already using two GH4s for photographic and video work it was an easy choice…stick with one lens system…micro 4/3. Thats why I got the JVC LS-300 as it natively took micro 4/3 lenses but remember its got a super 35mm sensor. 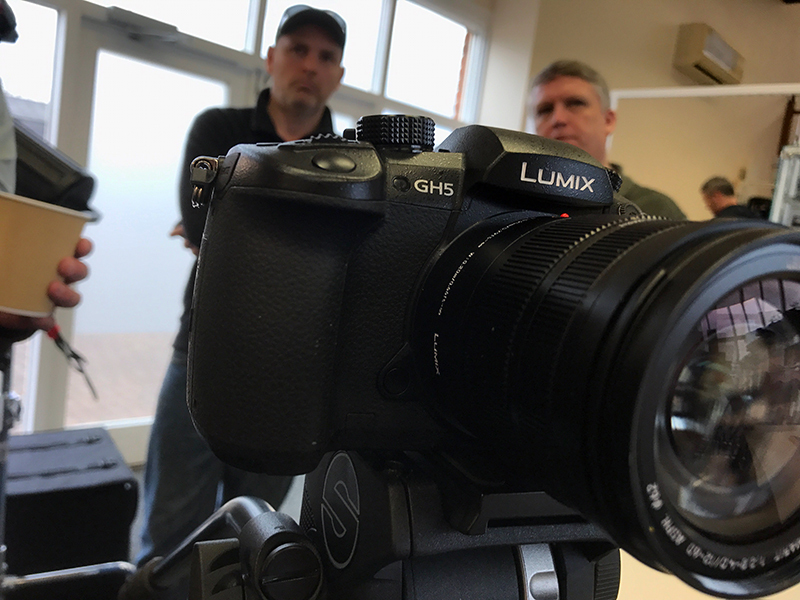 I also got a sniff of the GH5 running at UHD 50p which is going to be the camera of 2017, don’t take my word for it, Panasonic have already mentioned how overloaded they are with pre orders to meet the initial demand. All my lenses bar two are now micro 4/3. 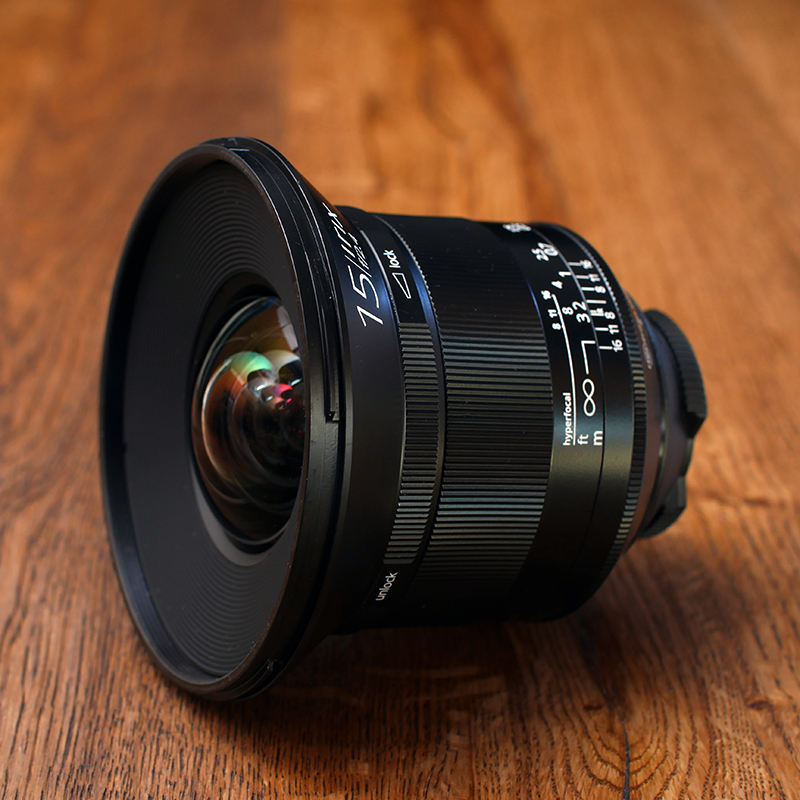 I have the 18-35 f1.8 Sigma Canon fit Art lens and a Canon 50mm f1.4 lens both lenses are great for shallow depth of field and low light videography. 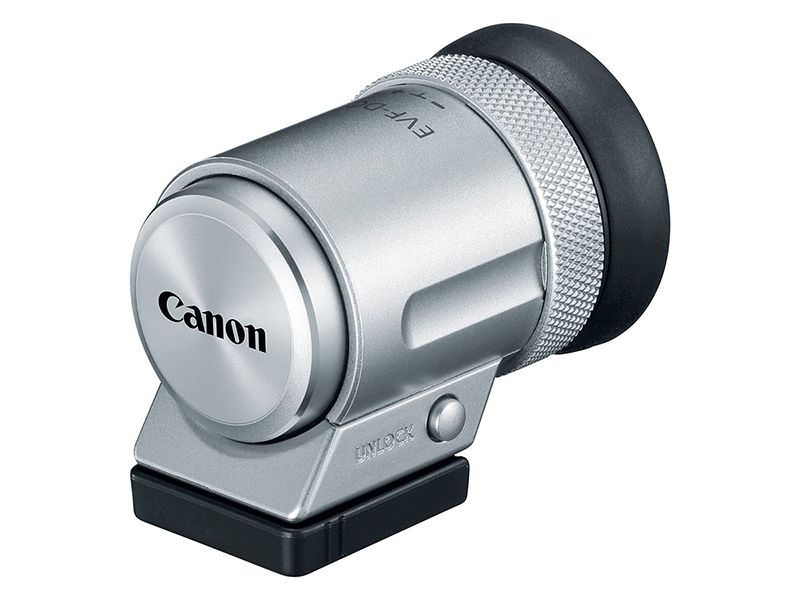 I use the Canon to M4/3 Metabones Speedbooster on my GH4, and a Metabones straight adapter (EF-M4/3) for my LS300. 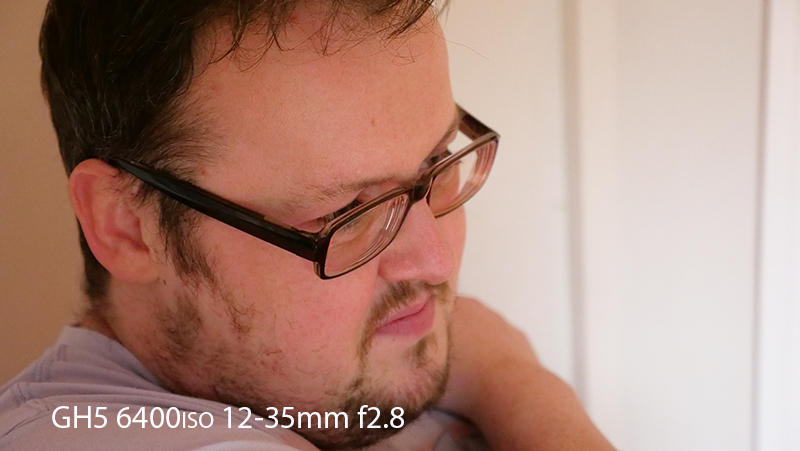 The JVC LS-300 also has VSM (Variable Scan Mapping) allowing me to match the lens with the super 35mm sensor. The VSM comes into play when you have full frame lenses like the Irix 15mm f2.4 its a lot more noticeable on the GH4 as you don’t get as wide a shot as the lens is capable of. 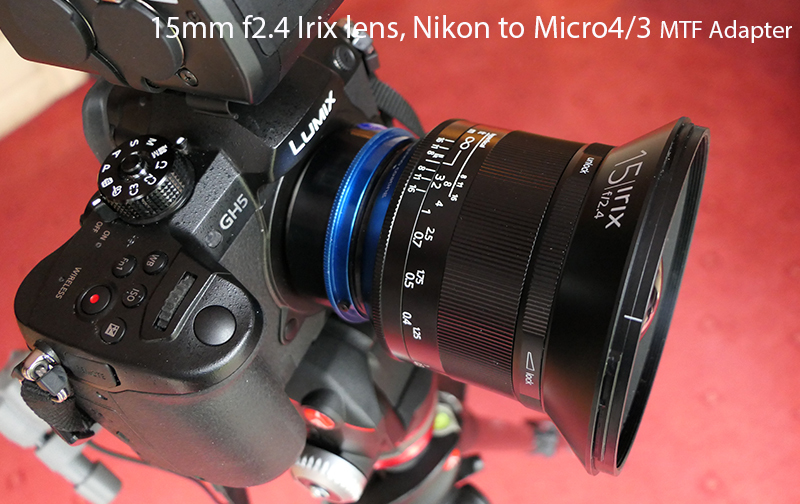 I am currently reviewing the Irix on the JVC LS-300 and using a Nikon to M4/3 adapter from MTF. This allows me to dial in more of the wide angle thanks to the variable scan mapping and the super 35mm sensor on the LS-300. The Sony FS7 was the first camera to produce 4K 50p video which was its major attraction, once the GH5 appears 4K 50p is part of the deal as is HDR in a firmware upgrade during July 2017. 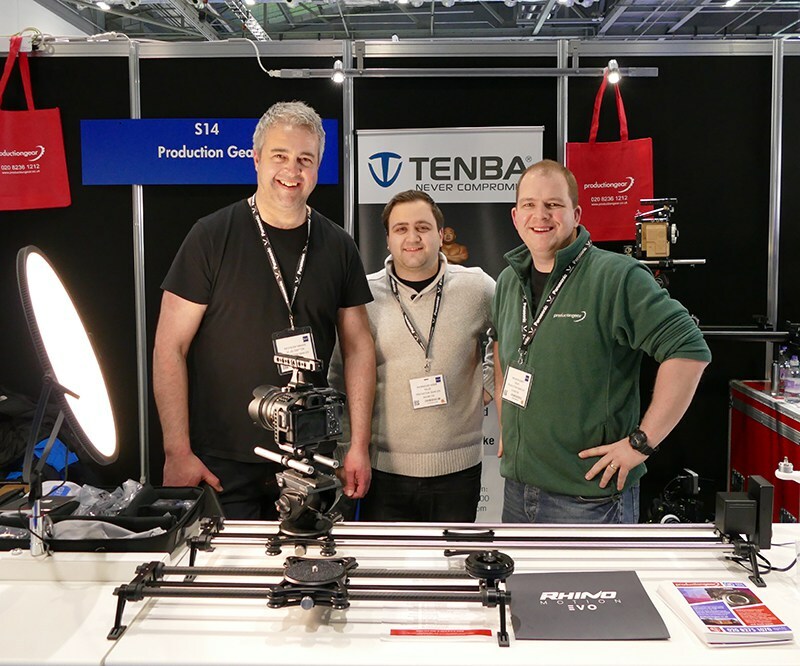 5 Axis stabilisation is also a deal breaker as is the weight of the camera, no servo zoom like the FS7 but there has to be a compromise somewhere down the line. Another major deal breaker was the full size HDMI and the dual card slot on the GH5, micro HDMIs are less than useless. 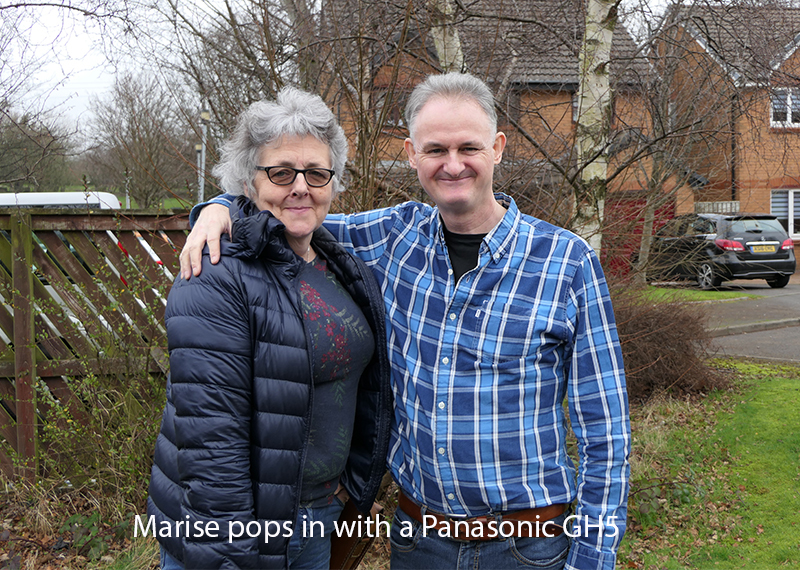 Panasonic has admittedly come late to having the on camera XLR unit as seen above but I gave it the once over with Marise from Holdan switching from auto to manual, something you can’t do with the GH4. 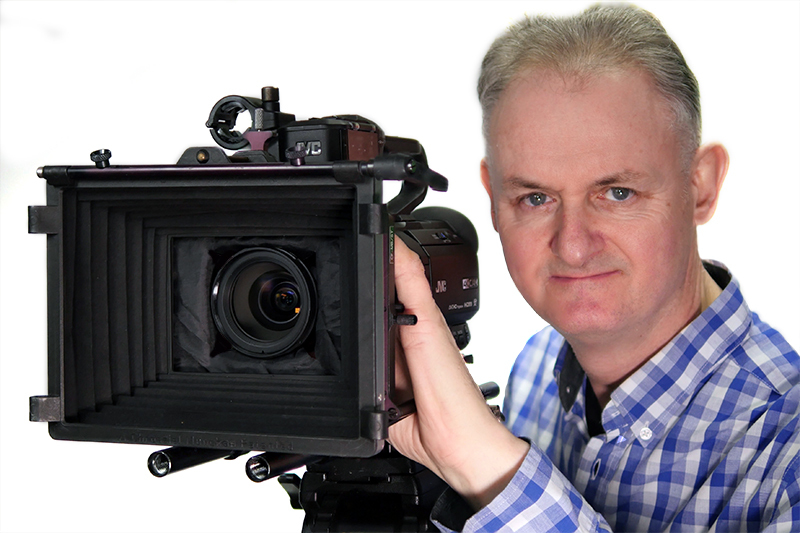 Times are a changing and so is my outlook as is my business, the need for expensive larger video cameras is a thing of the past. Finally we have quality at a reasonable cost with quality glass that doesn’t cost a small fortune. Why would you need a run and gun camcorder today ? A question I will answer in a future blog post with a pleasant surprise for Sony ! 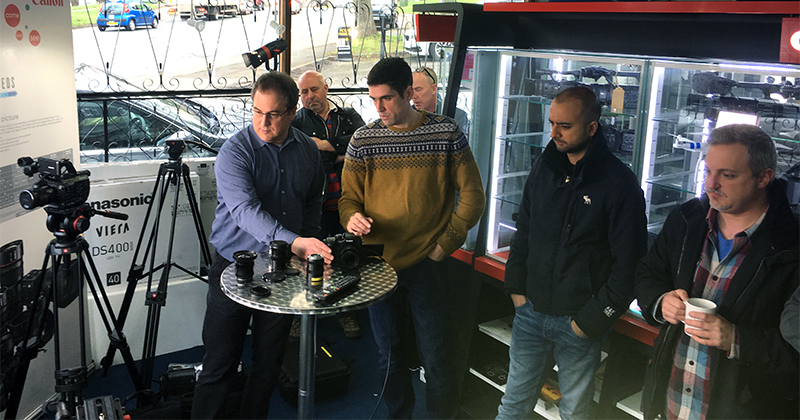 From 10 till 4pm Production Gear along with Holdan had a great time showing off the new Lumix GH5. 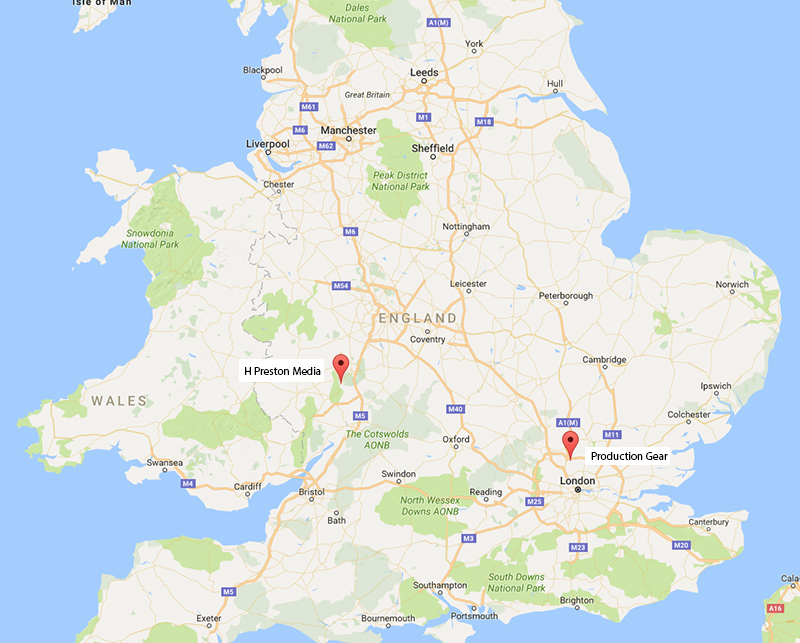 As you can see there was no shortage of space at Production Gears new premises, thats just over a year to the day they moved to Hertfordshire. 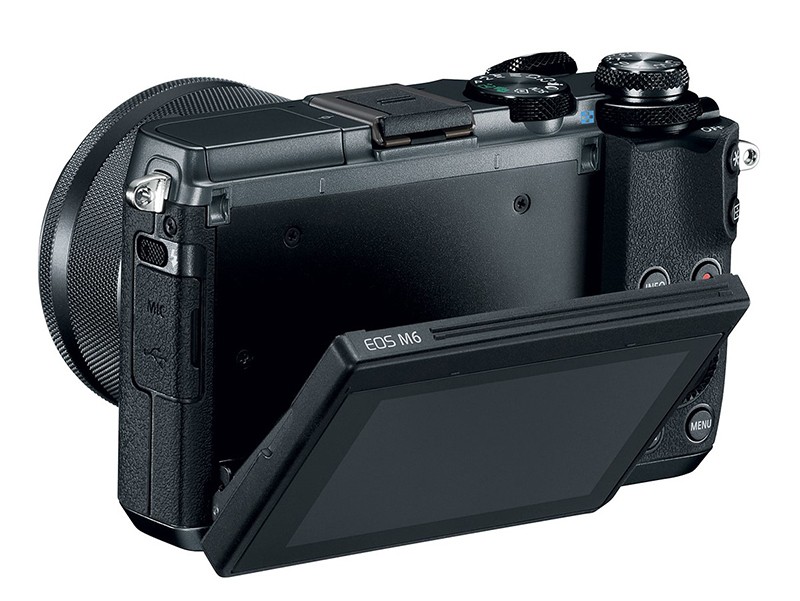 Panasonic have hit the sweet spot for the video community with the GH5, they decided to abandon the AF101, sadly… and develop the GH series up to UHD 50p with a professional XLR unit via the hot shoe. I can’t wait till the end of March to get my hands on the GH5 both video and photographically as I have plumbed for the micro 4/3 system, more about this in a later blog. 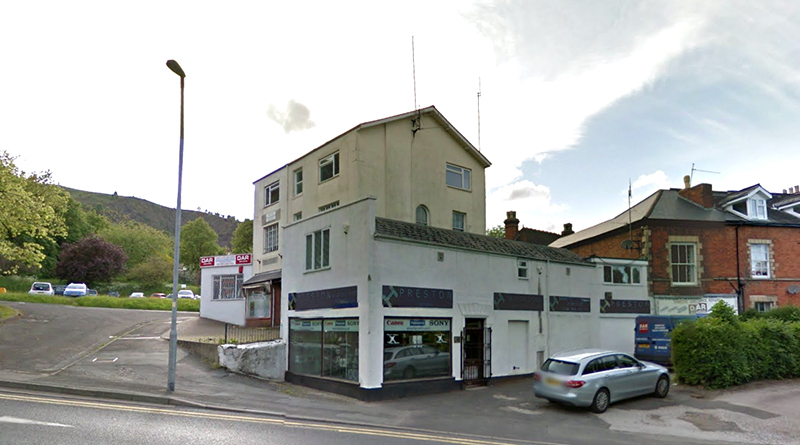 Got a phone call about lunch time from Marise Plater from Holdan who had a GH5 in her car and would I like to see it as she was passing by, heading back to Glossop. 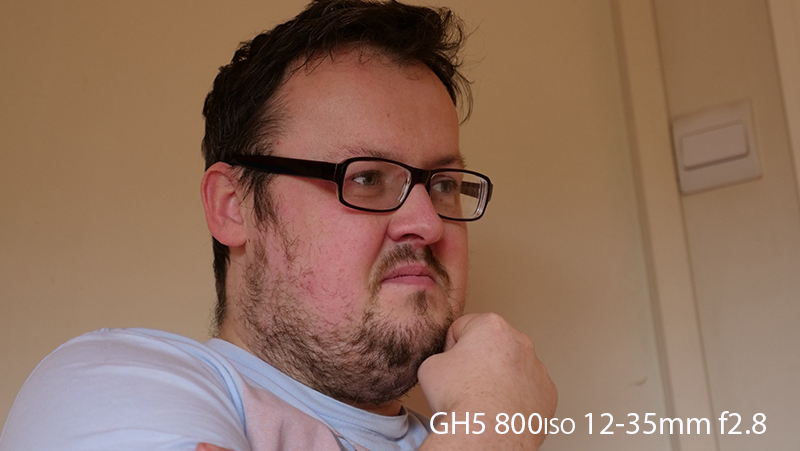 800 ISO looks ver clean on the GH5 but the RAW file as yet is not recognised by Adobe Lightroom nor Photoshop CC. I put my demo Irix lens onto the GH5 with the Nikon to micro4/3 adapter from MTF. 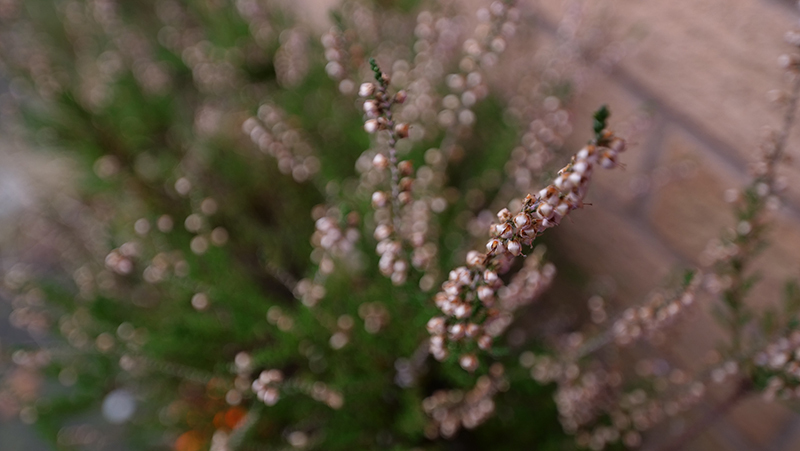 Not many 15mm f2.4 lenses can give you such a shallow depth of field as this lens can. I was very impressed with 6400 ISO on the GH5 its a lot cleaner and usable than the GH4. 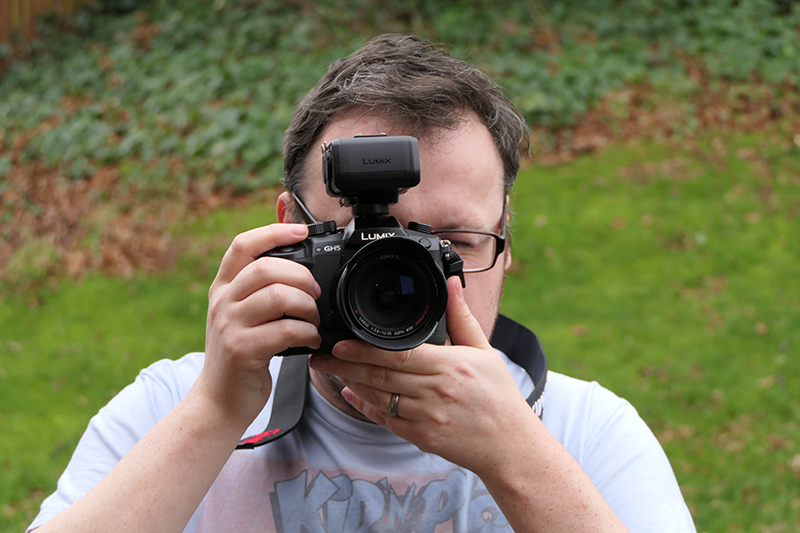 Scott having a play with the GH5 and very impressed with the clarity of the viewfinder. 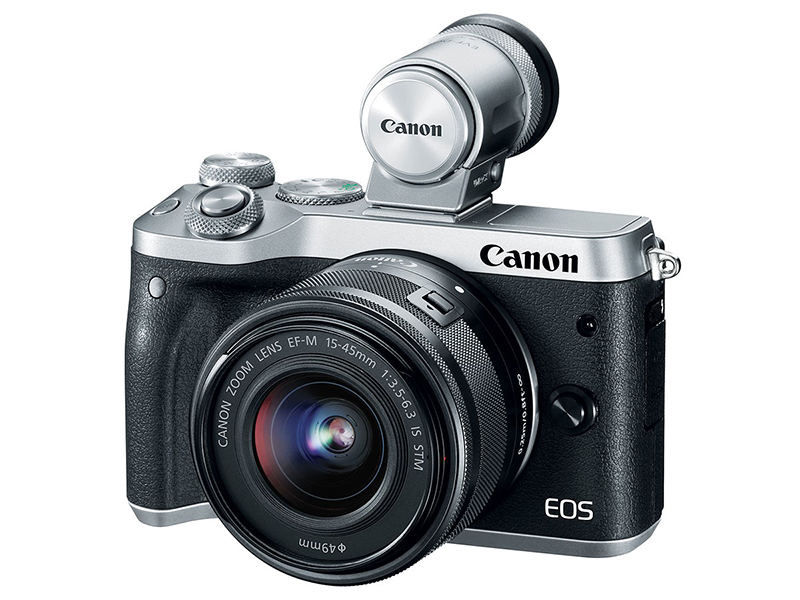 I must thank Marise for phoning me to get a sneak peek of the GH5, I am hoping to get her back up early March for an open day somewhere in Glasgow. 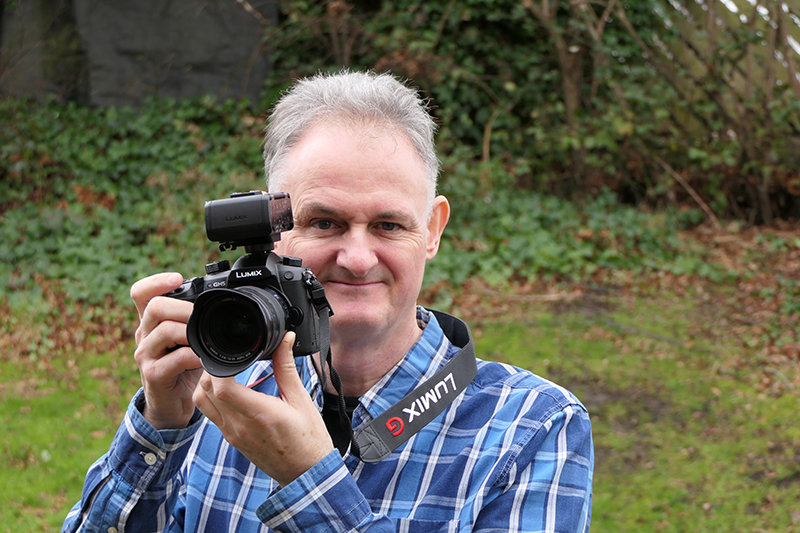 If you would like to see the new Lumix GH5 in Glasgow can you leave a comment please. 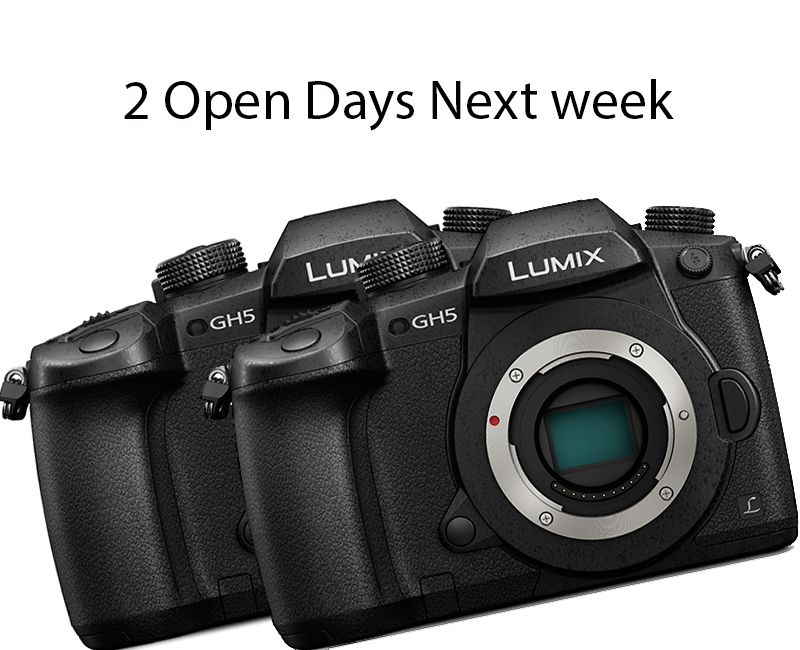 Obviously it depends where you stay but you have two cracking chances to see the new Lumix GH5. 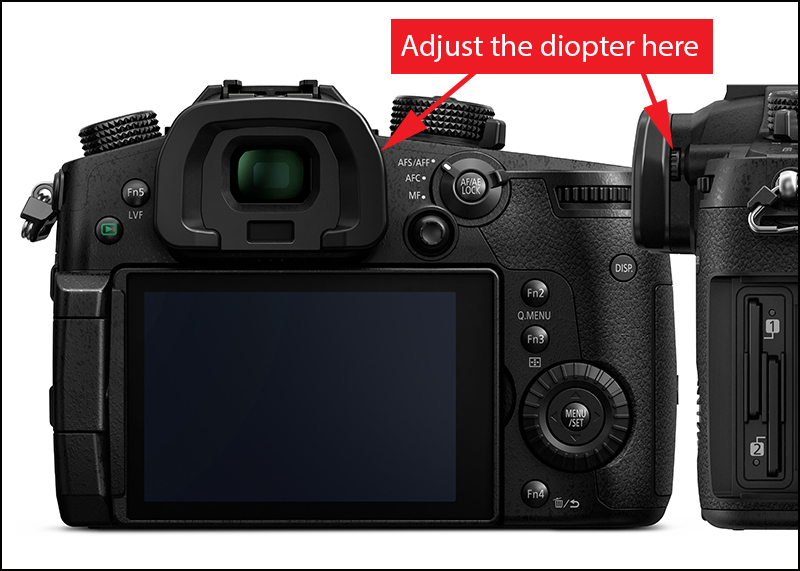 Make sure you see how good the viewfinder is, adjust the diopter as shown above to suit your vision. The optional Electronic View Finder EVF-DC2 is both smaller and lighter than the previous model and provides high-performance viewing with approximately 2.36 million dots. 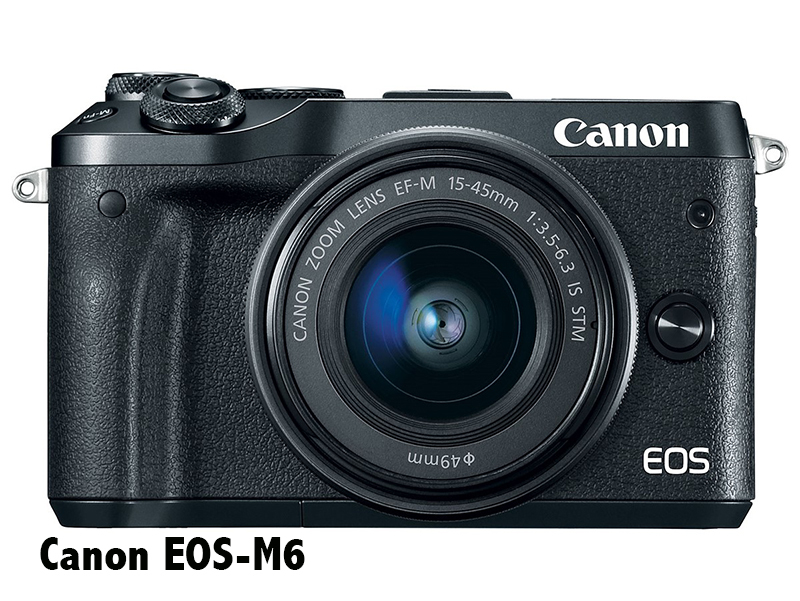 Connectivity is very important to today’s photographers and the EOS M6 delivers built-in Wi-Fi®, NFC and Bluetooth® capability that can maintain a smooth constant connection with compatible smartphones or tablets when using the Canon Camera Connect App. Q. I do not understand why any manufacturer would produce an almost identical spec. 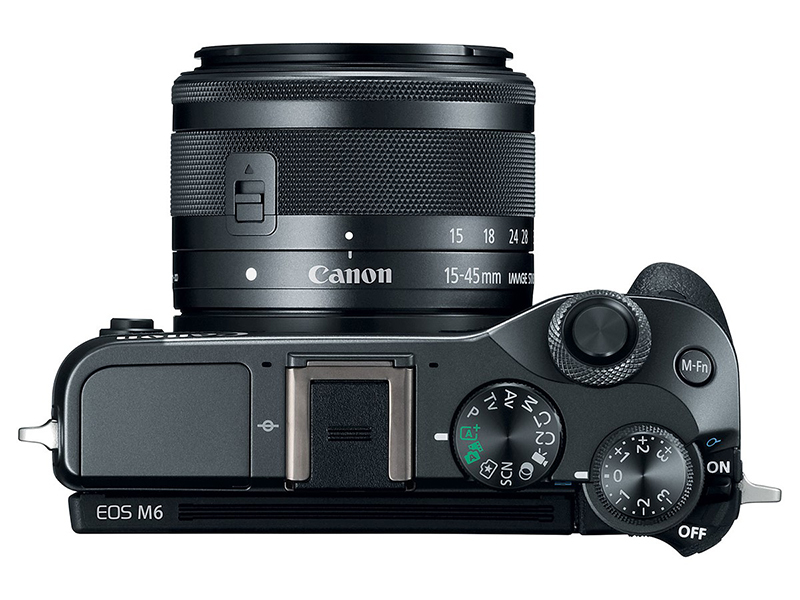 camera to its predecessor, the M5. No 4K video or a headphone jack ?